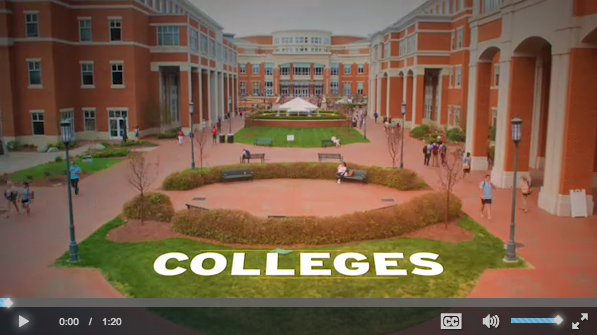 Welcome to the Cato College of Education at UNC Charlotte! Our vision is to be a national leader in educational equity, excellence, and engagement. We are committed to preparing teachers, counselors, and school leaders who will provide all youth with access to the highest quality education possible and to meet the needs of all students, regardless of their backgrounds. Our graduates have shown the ability to be successful in all varieties of school and community environments, even the most challenging. Indeed, many seek out high need contexts where they can make the biggest difference. We prepare highly effective and ethical professionals who have a positive impact on children, youth, families, communities, and schools and who are successful in urban and other diverse settings. We enroll approximately 2,400 undergraduate and graduate students annually. Our programs are nationally accredited and approved by the North Carolina Department of Public Instruction. We have many award-winning faculty who see teaching as the most important work they do. Several have been nominated for the University’s most prestigious teaching honor, the Bank of America Award for Teaching Excellence. This year, Dr. John Beattie in the Department of Special Education and Child Development is a nominee. In 2014, Dr. Tracy Rock of the Department of Reading and Elementary Education won the award and the $12,500 prize that accompanies it. If you want to prepare for the challenging, meaningful, and rewarding careers of teaching, counseling, and educational leadership, we invite you to explore the exciting undergraduate and graduate programs and the fabulous faculty members who teach in them on this website. The Cato College of Education does much more than provide academic programs. Our faculty members are also involved in cutting edge research related to autism, students with disabilities, struggling readers, why students succeed and fail in college, the teacher shortage, culturally relevant instruction, helping youth with severe disabilities transition into the work place and much more. These studies helped us earn more than $8 million in external funding last year and appear in some of the leading research journals in the field, including Research in Higher Education, Journal of Educational Psychology, and Teachers College Press. Our faculty and staff also directly and consistently serve the community. Many work in schools and community agencies serving youth and families with academic and counseling services. Others work through professional organizations leading committee work and serving as editors or reviewers for journals. Many faculty members in the College of Education serve on national-level committees to develop standards for our profession and practice, and several have work that is making a global impact. As you explore the website, I hope you will find not only the programs you are looking for but the people you want to get to know, learn from and work with. You will be delighted by the talent and professionalism of the people who work in this College. If you have questions or comments, please feel free to contact me.